1. 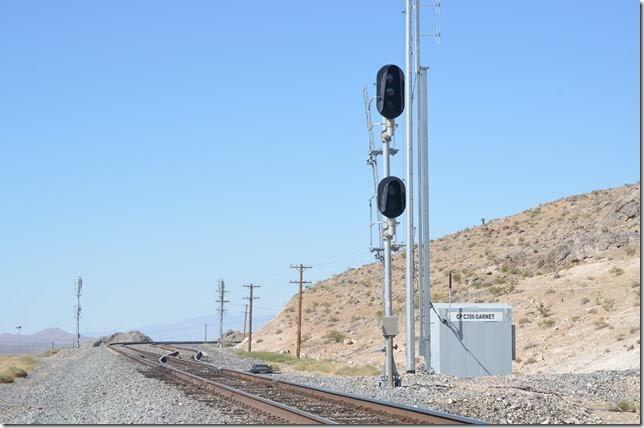 Looking west on the Union Pacific at Garnet NV. We were 23 miles north of Las Vegas and exiting I-15 east onto US 93 north. Hark! There are control point signals over there with easy access. Thursday, June 16th 2016. 2. 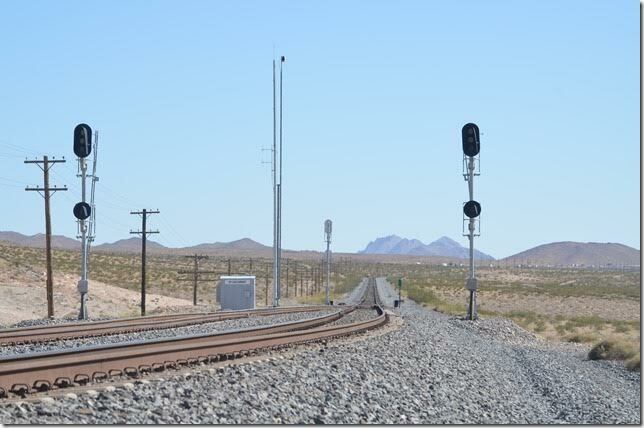 Unfortunately these are approach lit signals, and there was no hint that a train was near. We knew nothing was coming out of Las Vegas. 3. Heading north from Area 51 on Friday we stopped in Caliente NV. 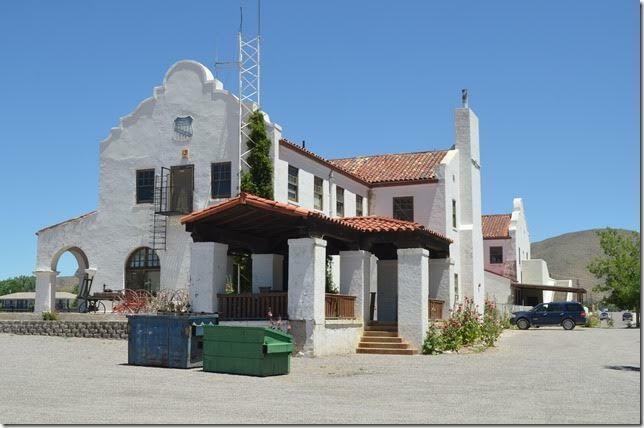 This impressive former Union Pacific (nee-San Pedro, Los Angeles & Salt Lake) depot now serves as the city and county offices of a small town of around 1,100. 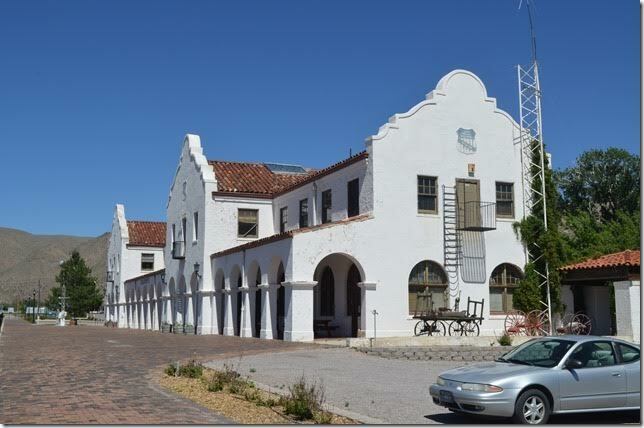 The depot was built in 1923. This is looking southwest toward Las Vegas. Caliente was a much larger town at one time. June 17th 2016. 4. Caliente (meaning hot in Spanish) was a crew change point. 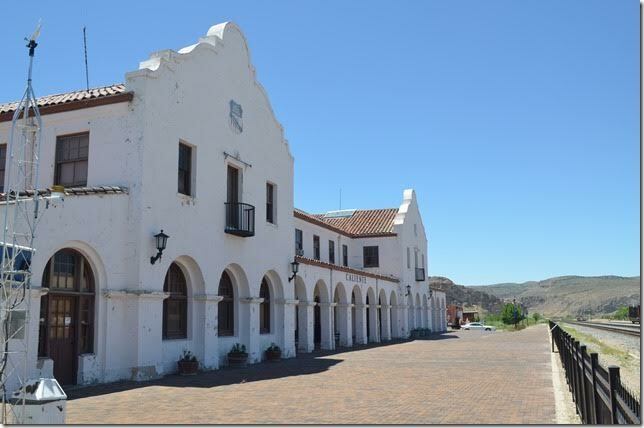 The Spanish mission style architecture contained a 50-room hotel, but the crews stayed in a nearby bunk house, I’m told. 5. 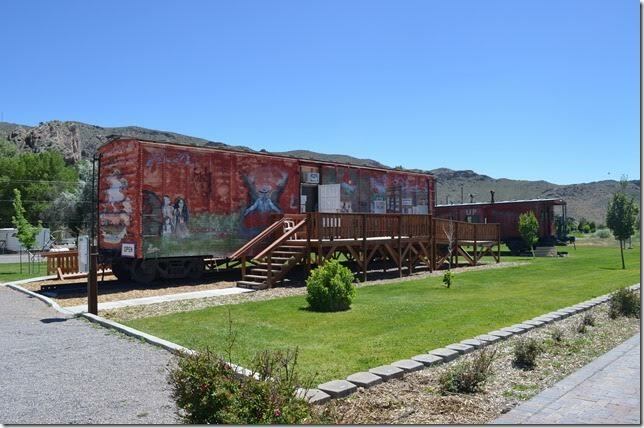 I visited the local railroad museum in the boxcar. 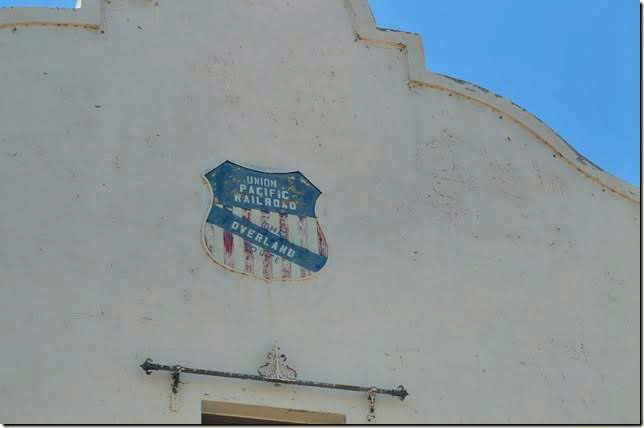 The had a good collection of old photos of the town and the UP yard. 6. UP coming thru. Eastbound. 7. This long double-stack rolled eastbound toward the green approach-lit signal. There wasn’t a single stack in the train! View 2. 8. I don’t know the profile, but evidently this DPU is needed because it was running. The yard once extended to the line of trees on the left. View 3. 9. 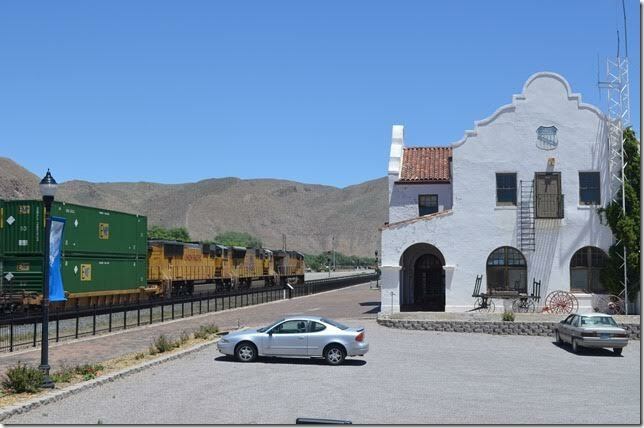 Former Union Pacific Depot. View 2. 10. 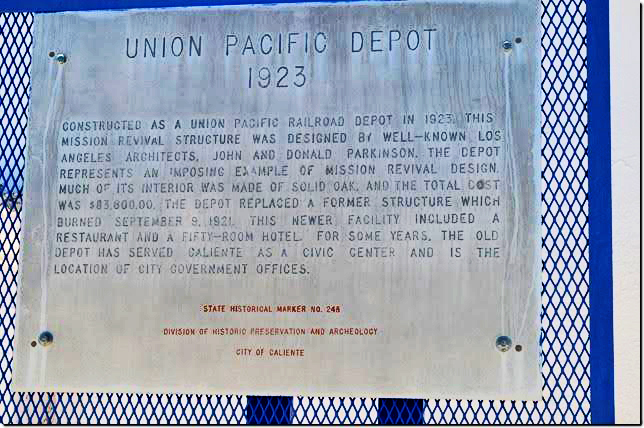 Union Pacific Depot 1923 descriptive plaque. 11. 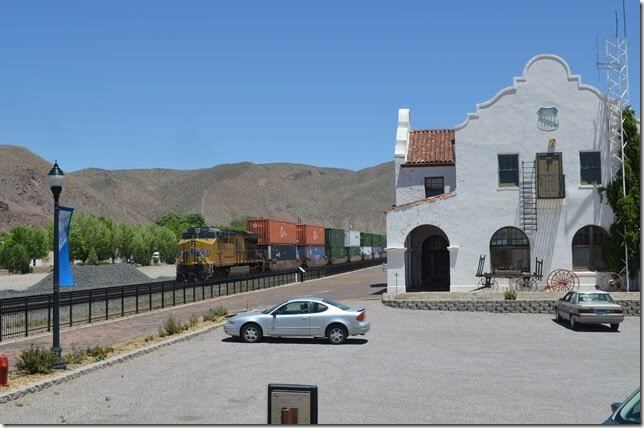 Former Union Pacific Depot. View 3. 12. 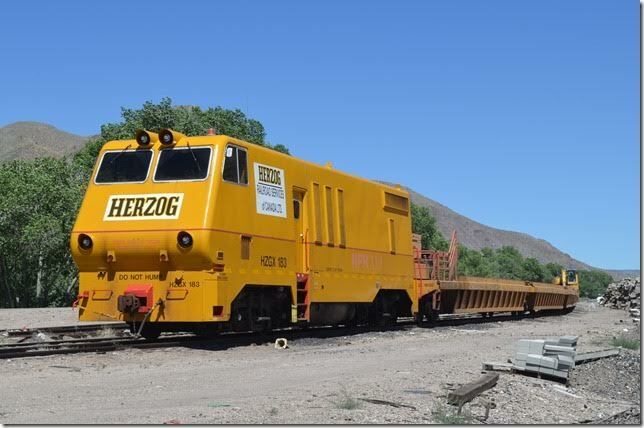 Parked on a leg of the wye that once formed the branch to Pioche was this Herzog Railroad Services “Multi Purpose Machine” for handling scrap ties. According to their web site the HPM can do a wide variety of maintenance jobs. 13. 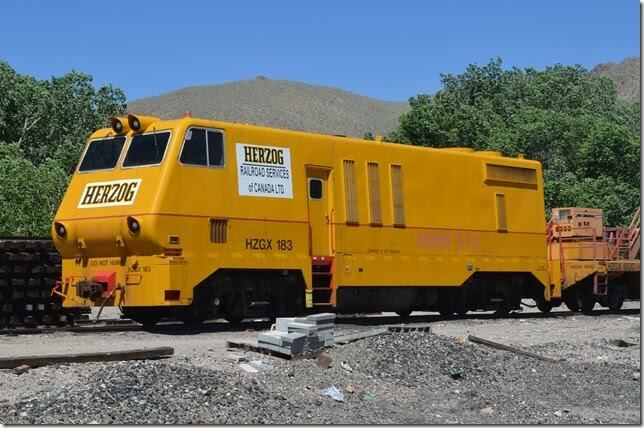 HZGX 183 is “HPM XVI”. View 2. Caliente is the local UP maintenance-of-way base. A roundhouse was located within the wye. 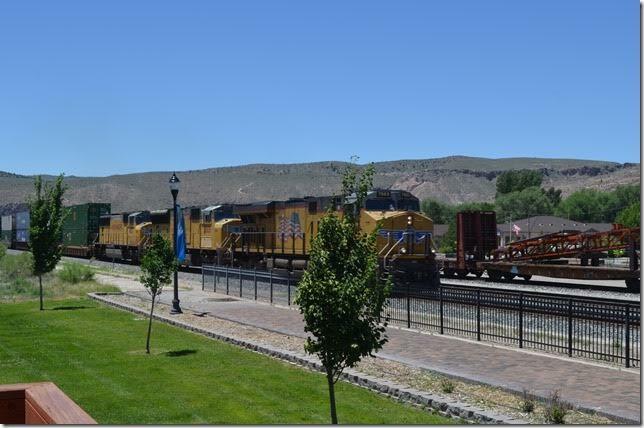 Local trains to the Pioche mining area originated here. We still had a long way to drive to Ely. Next was Pioche.